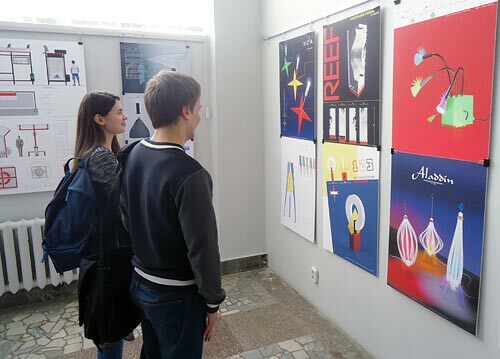 «From А to Z!» - exhibition of Bachelor and Master Degree term and final graduate projects, Industrial Design Department, in the exhibition hall of the Ural State University of Architecture and Art. March 14 to 21. 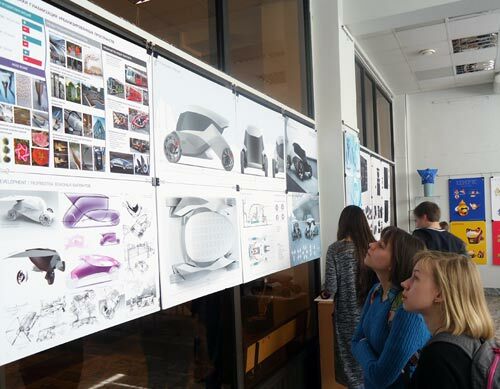 The exhibition showed the achievements of the undergraduate and postgraduate students of the Industrial Design Department. 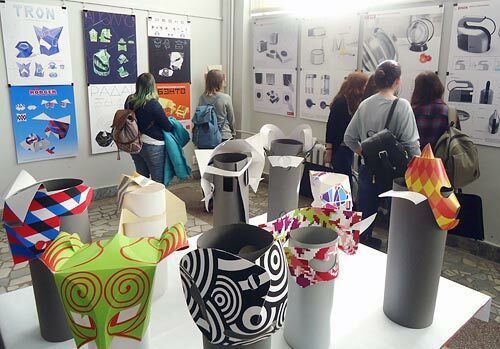 The undergraduate term projects included such themes as «Trademarks», «Masks and Packaging», «Decorative Lighting» (course leaders Professor Galina М. Brenkova and Associate Professor О.Vinichenko). The postgraduate level was represented by projects performed for the competitions «Urban Transport Stop for Ekaterinburg», «Equipment for NEFF» (course leader Professor Victor A. Bragin). 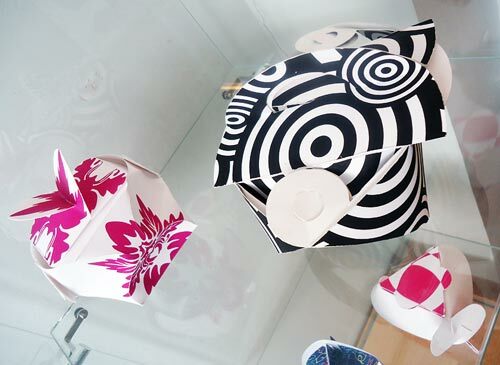 - Darya Demina «Multifunctional Kitchen Zone to Offset the Adverse Effect of Urbanization. Design concept of home wine making equipment set (for BSH / «Bosch-Siemens household equipment», Germany)», supervised by Professor Victor А.Bragin, Professor Elena P.Postnikova and Associate Professor Tatyana А.Gubareva.